Facebook has tried to launch a few standalone apps that bear a suspicious resemblance to other services. Anyone remember the Snapchat clone Slingshot? Probably not, because no one used it. Facebook's latest attempt to steal someone's thunder is Bonfire, which is very similar to Houseparty. Bonfire launched on iOS a few months ago, but now it's on Android (sort of). 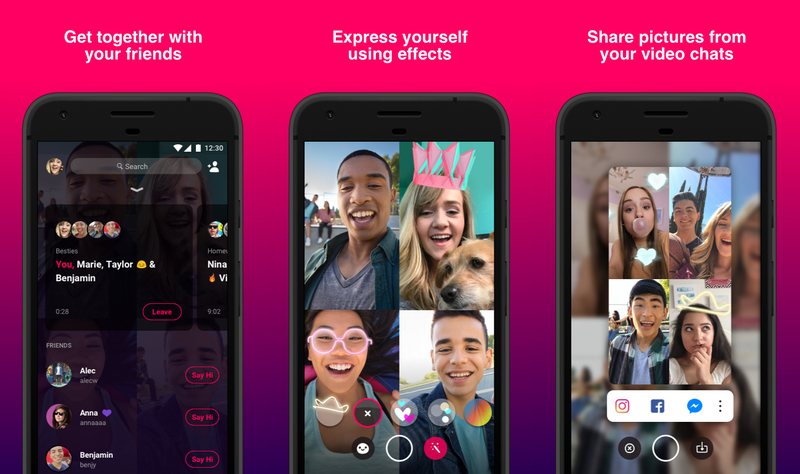 Bonfire is a group video chat app, which is hardly a unique idea. It's designed to be quick to set up and there are plenty of effects and stickers. Houseparty is aimed at teenagers, and Bonfire looks like it'll be the same. The app is integrated with other Facebook services like Messenger as well. For example, snapshots of your video chats can be uploaded directly to Instagram, Facebook, and Messenger. The app listing shows up in the Play Store, but it's geo-restricted. The earlier iOS launch was limited to Denmark, but it's unclear if the service is still only available there. We do have the app on APK Mirror if you want to sideload it, though.